This presentation will look at the state of the art in utilizing a free trial model in B2B marketing. Find out how to systematically increase revenues and lower customer acquisition costs using a self-service, free trial. The speaker will present findings from the analysis over over 1 million trial and paid customers. 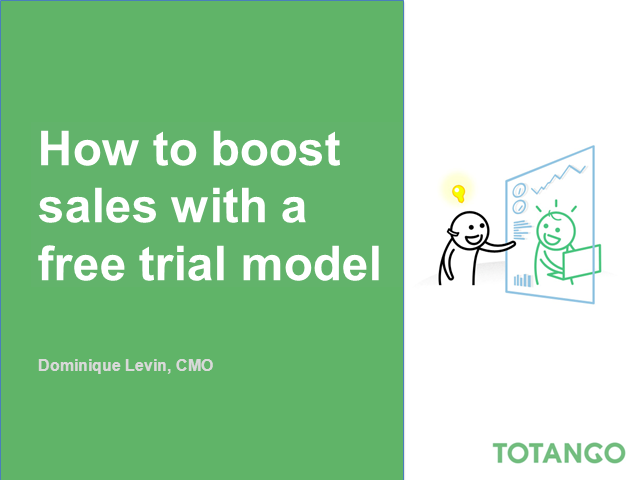 Learn how to find trial users most likely to buy, how to engage these prospects and turn them into paid customers.